The viral video has now got the attention of PIA CEO, who assured an inquiry has been initiated and action will be taken. The footage shows a mother requesting the cabin crew to open the doors as her infant needed fresh air after the air condition was switched off for two hours. The incident took place on a PIA flight from Paris to Islamabad on August 3. (Source: Times of Karachi. Pakistan International Airlines (PIA) has been receiving flak online after an in-flight video of angry passengers urging cabin crew to open the doors has gone viral. The footage shows a woman pleading with the airline staff to open the door as her infant was experiencing breathlessness before take off. As the video garnered a lot of criticism online, Dr Musharraf Rasool Cyan, the CEO of the Pakistani national carrier, ordered an investigation. According to the footage shared by Times of Karachi on their Facebook page, the incident took place on a flight enroute to Islamabad from Paris. “PK 750 Paris to Islamabad was scheduled to depart from Paris at 9 pm on Friday 3 Aug but delayed for 2 hours and 39 minutes without giving any reason to passengers on-board,” they wrote while sharing the video. They also informed that the child was okay now. In a statement released by the airline on Twitter, they assured that there is a “zero tolerance has been adopted in PIA and there shall be no compromise on customer convenience and comfort.” The carrier also clarified that the delay was only by 30 minutes. However, according to reports, passengers claimed the flight was stranded for over 2 hours. They said the flight could not take off as they did not receive “Air Traffic Controller clearance” and couldn’t turn on the engine as the “aircraft was still parked at the jetty”. 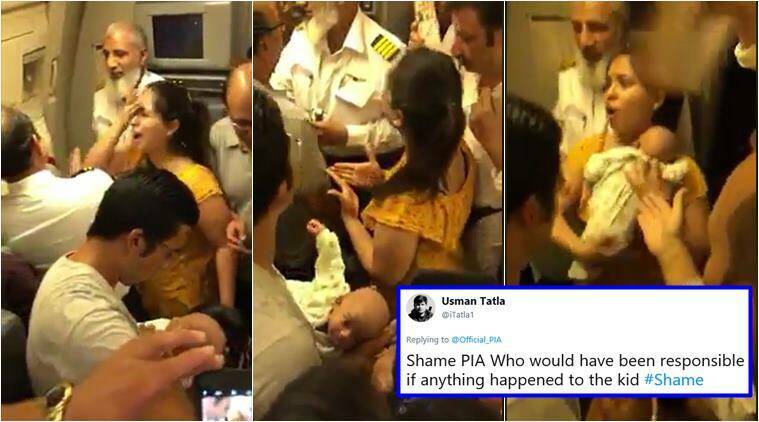 On Facebook, many sympathised with the mother and said their understood her plight, while others shared similar experiences they had while flying with the PIA. Talking to Geo News, PIA spokesperson Mashood Tajwar had said that they were investigating the incident and assured that those responsible will be held accountable.